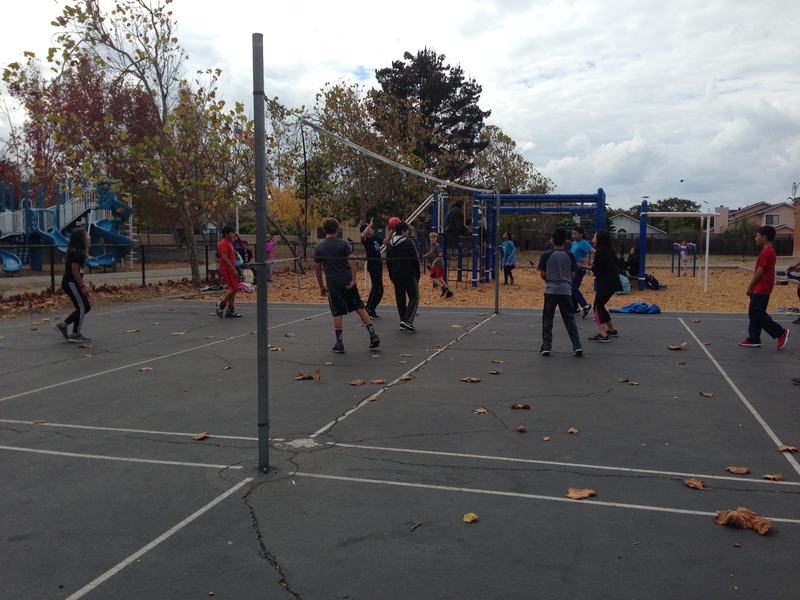 Bay Farm middle schoolers have been setting and spiking their way through lunch with the recent organization of a lunchtime volleyball league. The new middle school P.E. teacher, Mr. Stebbins, created the league, which has been a huge success with 60 kids participating. The games were held almost every day at lunch, except for a few days when wildfire-related smoke made it unsafe to play outside.